An agreement between Labour and Greens guarantees a referendum on the personal use of cannabis before or with the 2020 general election (it is looking likely it will be alongside the election). That only a quarter say they would vote No is probably more significant than the Yes percentage. Questions about a regulatory framework were also asked. I think I would support for change (depending on what the referendum choice is. I have never used cannabis, I just think that the current situation is working poorly and the law needs to be reformed. People hoped that a new Government, especially one with Greens and Labour dominant, would properly address dysfunctional cannabis related laws. The Misuse of Drugs (Medicinal Cannabis) Amendment Bill is set to be passed this week, probably on Tuesday, but the lack of scope that has made it through the parliamentary system is underwhelming. Many will be disappointed. A poll suggests that a majority of New Zealanders want more from Parliament – more like moves in a number of other countries, like Canada and United States who are far more progressive. A majority of New Zealanders say medicinal cannabis should be allowed to treat chronic pain, sleep disorders and other conditions, according to a new poll. The Horizon Research poll, which was commissioned by fledgling medicinal cannabis producer Helius Therapeutics, comes just before a bill is expected to pass that will allow the use of medicinal cannabis for people who need palliative relief. The poll, which canvassed the views of 2105 adults, showed support for medicinal cannabis to be allowed for a range of conditions. I expect that those percentages would be much higher for those suffering from chronic pain, cancer, epilepsy, multiple sclerosis, anxiety or arthritis. I wonder how these approval ratings would compare for the use of morphine? The Government bill requires regulations for a medicinal cannabis scheme to be made no later than a year after the law comes into effect. There will be further consultation on those. Recently Helius has commisioned a Horizons poll outlining attitudes around Medical Cannabis. With the final reading of the Medical Cannabis bill likely to be early this coming week, it outlines strong support across the political spectrum for significantly more reform than what was offered in the Govt Cannabis Bill. “A key critique of the govt bill is that it shows no shape or intent outlining the nature of the ‘scheme’. Public support as polled shows strong support for a Card based access scheme similar to what is in place in many US States, and as proposed in Dr. Shane Reti’s private member’s bill” says MCANZ Coordinator Shane Le Brun. “Such results should be taken seriously by the team at the Ministry of Health who will be in charge of creating the scheme. Its a timely poll in that the next phase will be reliant on these unelected officials to balance the demands of the public, along with political expediency and the nature of managing the public health risks and benefits such a scheme may entail”. It is the hope of MCANZ, that with the successful passage of the bill, that the Minister and the Ministry waste no time in getting the regulatory consultation underway, and use such polls in their initial planning. After initially indicating they would take urgent action over medical cannabis availability. It has taken a year to get a watered down bill over the line. It could take up to another year to put it into effect. This shows that most of the time there is more optimism than pessimism about the economy but occasionally there is a small majority who think the economic outlook is worse than better. I have no idea how people form opinions on economic outlook, and how much this is influenced by personal rather than national issues. Colmar Brunton were polling for 1 News as the Jami-Lee Ross mess unfolded last week, so it is snapshot of support that won’t give anything like a clear indication of ongoing effects on party support. But it is what it is, at a volatile time. This looks remarkably not bad for National considering the week from hell they have just been through – but it may be too soon to measure the full effect of all of this. The poll was conducted from Monday to Friday (15-19 October 2018). The last poll was taken from 28 July to 1 August 2018. Last poll details and polling history since the election. Participants stated whether an activity should be illegal, decriminalised, or legal. So high support for use of cannabis for medical reasons. More wanting to keep it illegal for personal (recreational) use but still about two thirds in support for legal change. Here there is much higher support for staying illegal for ways of getting cannabis apart from growing your own. Greens scoff at National+Green option. That NZ First will not make the threshold – predicting the political demise of NZF and Winston Peters has been proven wrong many times over the years. That Greens would consider a coalition with National over Labour. It was made very clear during the last term, and especially during coalition negotiations last year, that Greens did not see National as an option for them. Greens have virtually said that unless National adopts all the Green Party policies then they won’t consider any political alliance (this is ironic given the number of compromises Greens have made with Labour and especially with NZ First, but that’s another story). There is zero chance, despite what Newshub implies, that the Greens will even look at today’s National Party as a valid coalition partner. You would need 75% of Green delegates at our AGM to agree to even consider a coalition deal from them, and the perception that we could do so tends to hurt us in polling. Implying such a deal would even be considered is pretty mischievious. @farmgeek That’s cool, but I’d prefer they stick with reality-based scenarios. @MJWhitehead Yeah, the correct thing to do here would just be to show NACT at 59 because that coalition ain’t happening with National looking anything like it does today. @ConanMcKegg Really trying to push that Blue Greens narrative still. I’d have thought that would have died by now. Gahhhhhhhhh — what part of the Greens will never ever be in govt with National do media not get !? P o l i c y s – light years apart. I haven’t seen anyone in Greens suggest that going with national in any way was a possibility. They look fully committed to Labour or bust. Interestingly I can see no poll reaction from @NZGreens, jamespeshaw or @maramadavidson – actually they have been veryu quiet on everything over the weekend. But that won’t change the apparent impossibility of a National+Green option. There had already been murmurings in media about Simon Bridges leadership of National before the latest poll (Newshub/Reid Research) had him at 9% ‘preferred Prime Minister’. A Newshub-Reid Research poll has brought some seriously bad news for Simon Bridges. Mr Bridges, who has now been in the role three months to the day, has earned just 9 percent of the vote in the preferred Prime Minister stakes – the lowest result for a National leader in over a decade. The poll, which is the first to be conducted since the new Labour-led Government’s first Budget, suggests his status as leader of the Opposition is failing to get any real traction with voters. This is despite National support holding up on 45.1% to Labour’s 42.6%. Prime Minister Judith Collins – how do those four words strung together make you feel? For 3.7 percent of New Zealanders, it feels pretty good. But this is dire news for the actual leader of the National Party, Simon Bridges – his preferred Prime Minister ranking is just 9 percent. I’m not sure how 9% is dire but 3.5% is somehow seen as an ominous appearance in the poll. What should Bridges do about this poll? Nothing except continue on his two and a half year strategy. As one person put it, “his listening tour now is classic first year opposition stuff”. Travelling the country meeting as many people as possible is relatively low profile, but an essential in creating credibility and support. I don’t think an election has ever been lost on a ‘preferred Prime Minister’ poll this far out from an election. Jacinda Ardern peaked at 4.2% in 2016, and was averaging about 6% for the first half of 2017, suddenly spiking to 26% in early August, 6 weeks before the election. 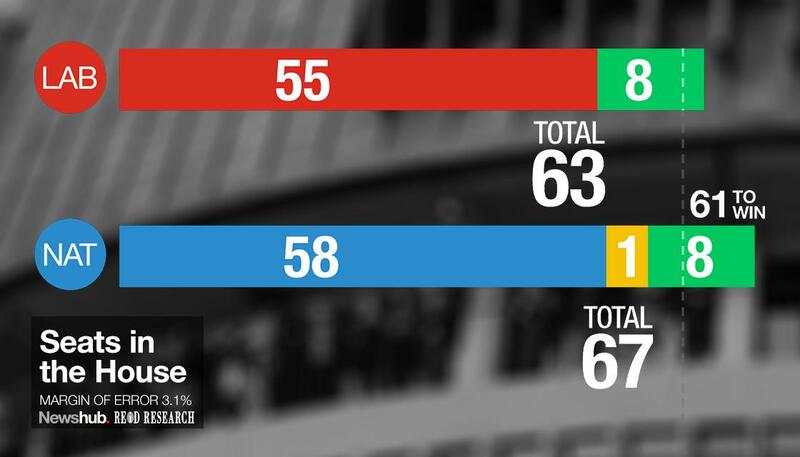 There’s no reason Bridges can’t do something similar (unless he continues to look like a damp squib) if National are still near or ahead of Labour in the all important party poll, especially if NZ First look like they do now, out of contention, and if Greens look shaky again. Neither James Shaw or Marama Davidson rated at all in the ‘Preferred prime Minister’ poll – Shaw got 0.4% with Colmar Brunton in December and February, but his absence in this poll means nothing about Green prospects. Winston Peters got 4.6% in the latest poll, about average for him since the election, and he is going to be acting Prime Minister soon. We have no idea how Jacinda Ardern’s popularity will track over the next two years. She may or may not even lead Labour next election. And that isn’t what is important anyway. Bridges should carry on with his strategy and hope that he finds a formula that connects him with voters. More importantly National as a whole need to continue to look like a credible alternative. Media will keep posting pointless poll stories – they use polls to create news, not to give a non-emotional balanced indicator of a snapshot of public opinion that is very minor in the whole scheme of things. The opposition will continue to talk up doubts over National’s leadership. The niche blog Whale Oil will continue it’s primary role as a political activist, talking up Collins and trying to trash Bridges. That’s been their modus operandi – promoting Collins and trashing Key/English/Bridges – for years. But 3.5% is a long way from suggesting their is wide support for Collins, even within National. And WO’s toxic association with Collins will make things difficult for her – if she still has leadership ambitions. She is probably the most prominent and effective Opposition MP at the moment, but it’s not uncommon for a non-leader to be the primary attack weapon of a party. All this poll does is create a flurry of speculative comment, until the next poll. And there’s going to be many more of them before the election. It’s not unusual for many people to prefer the current Prime Minister to be the Prime Minister – but Ardern’s 40%, well short of a majority, shows that it means little. It is almost certain that National would suffer in the polls if they switched leaders every time media made a headline out of a single number. Labour struggled for eight years and ten months in Opposition, and their revolving door leadership was a significant part of that. Bridges has far more important things to work on then ‘preferred PM’ polls that mean very little under MMP.